This paper presents a exposition of Putnam’s model theoretic arguments in the context of his broader philosophical position. 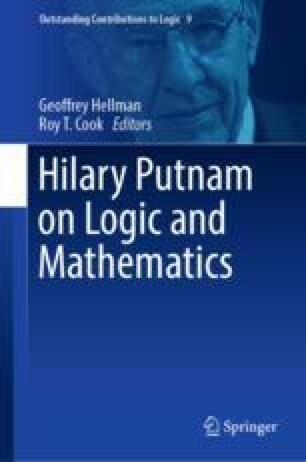 I argue that Putnam used the arguments not just to undermine metaphysical realism, but to reveal that the philosophical debate between metaphysical realism and internal realism is dialectically problematic in that the metaphysical realist defence cannot “count against” (Putnam in Philosophical Topics: The philosophy of Hilary Putnam 20(1):355, 1992c) the converse position. Putnam’s response is that this is a debate that we should simply undercut.